If you work on your own and need a little help to keep you from getting distracted, you may want to try this simple but effective app called 5217 that does its best to maximize your productivity throughout the day. The 5217 app was created by Francisco Franco (yes, the Franco Kernel creator) and helps us implement 52 minutes followed by 17-minute breaks work cycles. These values may seem a bit arbitrary, but some studies show them to be the ideal values for maximum productivity. 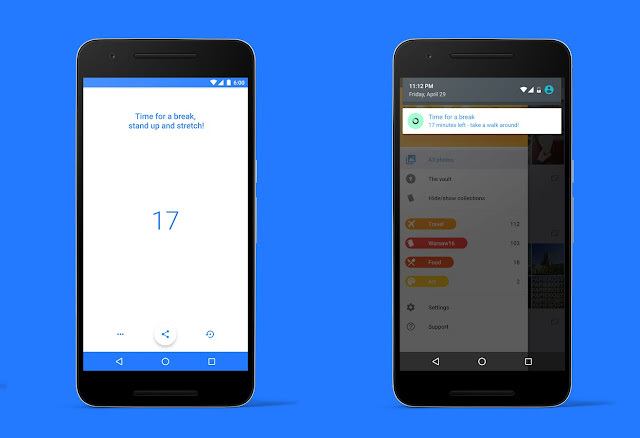 Unlike time management apps that try to force users to work / rest, blocking what they can do / not do during each period, this app is a lot friendlier, assuming the user is committed to follow these cycles, acting only as an assistant to better achieve that goal and provide some extra help (for example, you can activate the do not disturb mode automatically). The biggest drawback of the app is that it isn't a free app; but considering its low cost and the old saying "time is money", it won't take you more than a single productivity enhanced day to have that cost recovered many times over. The new version 3.0 should be arriving soon, with more features and also a free mode that allows anyone to try it out for 10 cycles. Be sure to do so and see if it can help you have more productive days.